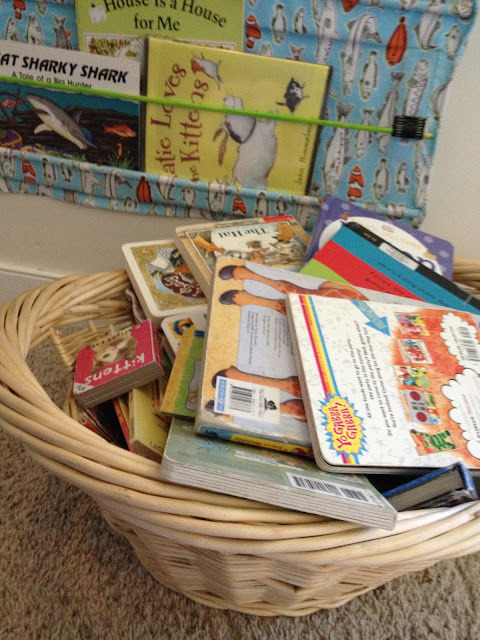 Welcome to my book storage disasters.... today we're talking in specific about board books. The top shelf there is supposed to look all nice and orderly filled with favorite board books. Here we have the board book storage upstairs. WHAT A MESS! This whole shelf has become a disaster area. When Whit suggested we tackle some organization issues I figured this would be a great place to start with new baby a mere 8 weeks away. disclaimer: I haven't solved the problem yet. I had NO IDEA we owned this many board books. Kitten is the main consumer of board books in our house these days (baby will be sharing a room with Kitten). Because of this, it makes sense for the majority of board books to live in their room. 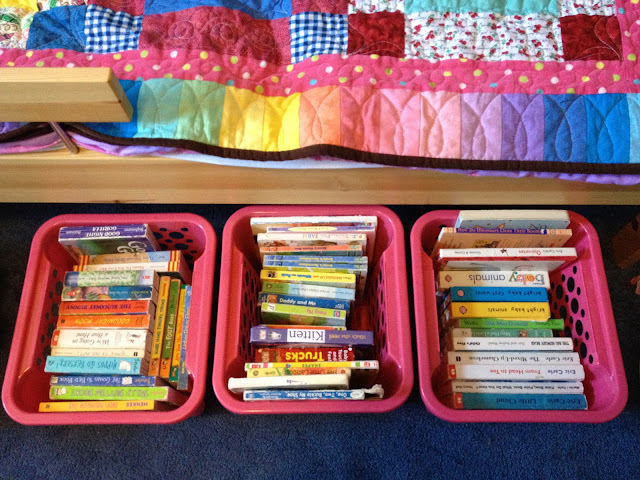 I bought three rectangular bins that fit underneath her bed, and filled them up with books. I've heard its bad feng shui to use the space under the bed for storage... still I'm going with it. Makes for great access for bedtime stories! ps: I mentioned several times the crazy amount of books I own... well after Whit's post yesterday we've both decided to take the challenge of slimming our book collections a bit. (fyi this is actually just an excuse to make room for more books we want to buy and own...) We'll each try to find 50 books that can leave our collections. 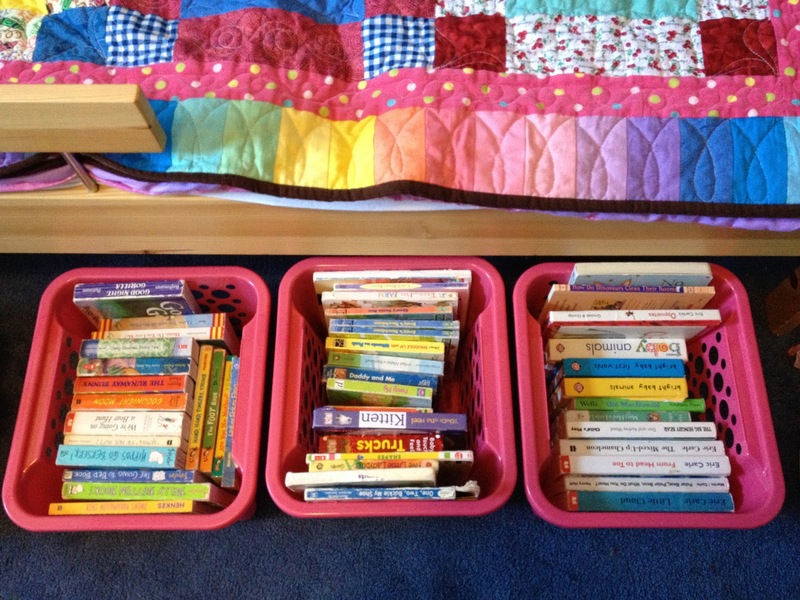 I may be able to do that with board books alone. ;) (I'm joking Whit) We'll post about our experience on Friday.